Why do we run races? Love for the sport, sure. The challenge to body and mind. The camaraderie and setting are important, too. For most runners, though, a race is more than just a chance to compete, or a medal to hang around their neck. It is a life experience worth cherishing for the hard work it symbolizes—for the sense of accomplishment that comes after crossing the finish line. Fortunately, the United States is home to some of the most fun and scenic runs in the world. From sea to shining sea, big city to big mountain, we’ve hand selected must-do, must-see marathons to register for this coming year. If you can brave the sometimes unpredictable conditions, urban marathons are full of memorable buzz. Run among the skyscrapers, be among your people, be cheered on by the crowds. Here are three classics to consider. The annual Bank of America Chicago Marathon is one of the largest in the world, and it draws quite the crowd. Here’s your chance to criss cross the Chicago River, pass beneath the iconic Sears Tower, and pound the pavement along the shores of Lake Michigan. Why just visit Central Park and Times Square when you can marathon them? The NYC Half Marathon is like a running tour of the Big Apple. Feel the energy as you pass through the world’s most famous city, take in the views as you bound across the iconic Manhattan Bridge. The Cherry Blossom Ten Mile Run is one of the most scenic on our “urban” list. Open to runners of all levels, this ten-miler coincides with the spring blossom of cherry trees throughout D.C. And like the NYC half, it’s a running sightseeing tour: the route passes the Jefferson Memorial, Washington Monument, Lincoln Memorial, and Arlington National Cemetery. Racing through the big city is one thing, but some races are known for the natural beauty of their surroundings. Be one with Mother Nature for these three stunning destination races. Welcome to North Carolina in early summer. Stunning! The New River Marathon courses along the New River in the Blue Ridge Mountains, one of the oldest ranges in the world. Finishers rave about the fragrant trees, majestic scenery, and Southern hospitality. 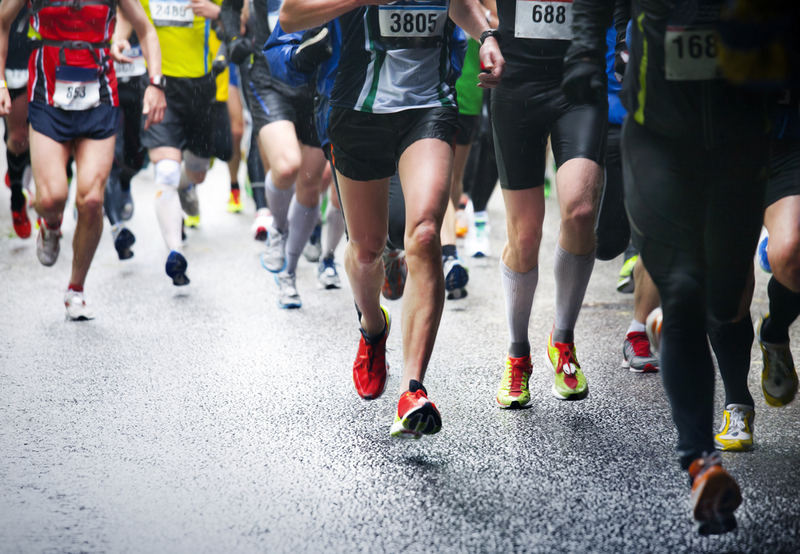 Participate in a full marathon, half, or 5k. Dubbed “the world’s fastest 5k,” the Carlsbad 5000 is a high energy, super fun 5k that courses along one of the most beautiful stretches of Pacific Ocean in Southern California. And for a post-finish cooldown? Take a dip in the ocean! Ahh, the Garden Island. Is there a more gorgeous natural setting on earth? Not many, and there might not be a more gorgeous half marathon. Indeed, the Kauai Half Marathon is a sight to behold. Okay, there are serious and competitive races, and then there are races for those of us who just want to have some fun. This famous foot race is over one hundred years old! Bay to Breakers brings out all the character that San Francisco is known for. Aside from passing through one of the most beautiful cities in America, have fun taking in all the wild costumes participants love to sport. Run alongside all of your favorite Disney characters in one of the most magical places on earth. The Walt Disney World Marathon will certainly inspire your imagination! Not to be outdone by Bay to Breakers, the Keep Austin Weird 5k is known for wild costumes and a fun, energetic atmosphere. This race is dubbed the “slowest race you’ll ever run” for a reason! As you prepare to run wild this coming year, make sure your body is prepared. Headed somewhere altitudinous? Check out our article on altitude and running. For those of you looking to push the limits and beat your personal bests—maybe even place in a race or two this coming year—check out how the AlterG® Anti-Gravity Treadmill can improve running. No matter what, remember to have fun!